I’ve always been a fan of Korean dramas. I just can’t get enough of them — romcoms, dramas, historical series…. you name it, I’ve probably spent a week or two watching them way into the wee hours of the morning. When an opportunity presented itself (in the form of an airline seat sale), I wasn’t one to slack around and immediately booked a trip with my mom, my bro and his girlfriend to experience the capital of the fascinating country that is South Korea — Seoul. 1. Pack smart. Research on the weather before embarking on your trip. We visited in January, which happens to be the coldest (according to a website) month of the year in Korea so we were carrying luggage filled with sweaters, shirts, thermal underwear and thick thick jackets. Our luggages weighed roughly 10 kilos each even before we arrived at our destination. I usually travel with just a backpack but the weather report got me nervous. Pack smart. You don’t need to bring four or five different snow jackets for a four day visit, or sweaters for that matter. Just make sure you have the essentials (thick jacket, scarf, boots, sweater) and you’ll be all set. This way, you can save on space for whatever stuff or souvenir you may wish to purchase as a memory of your trip. During the winter, it may be a good idea to bring lip balm and lotion to protect your skin from drying up. 2. Make your itinerary flexible. Seoul is a city that has a lot to offer. It is a mix of both the traditional and the modern and you have to make sure that you get the full experience. Identify your priorities (shopping, palace hopping, amusement) way before you hit the streets. And if your original plans don’t work out, make sure you have a Plan B to fall back to maximize the time of your visit. 3. Take the Airport Railroad. From Incheon Airport, it is still a couple of hours away from the heart of the city so it is advisable to take the Airport Railroad to save on time and money. The trip to Seoul costs roughly W3,600 while the Airport Express costs a little over W13,000. The trip on the subway is approximately 43-45 minutes for the regular train. Get off the Seoul station and transfer to any of the 9 lines of the Seoul Metropolitan Subway to get to your hotel or take a cab if it is already near the station. 4. Pick a hotel that is near the subway. We stayed at a small bed and breakfast called Hotel Biz Jongro Insadong and it is very near the subway (Jongno sam (3) ga Exit 5) which we used as a landmark. I highly recommend this place because it is clean, reasonably priced and has complete amenities. The rooms are not very big but spacious enough to move around. They also offer free breakfast of which I am a big fan (porridge, toast and a variety of drinks) from 7 am-11 am and internet (each room has its own computer) as a free service. Laundry services are also accommodated. The best of all, it is near the shopping district of Insadong where there is a wealth of choices for things to buy from street food to souvenirs to clothing and beauty products. Check out this link to view the hotel. 5. 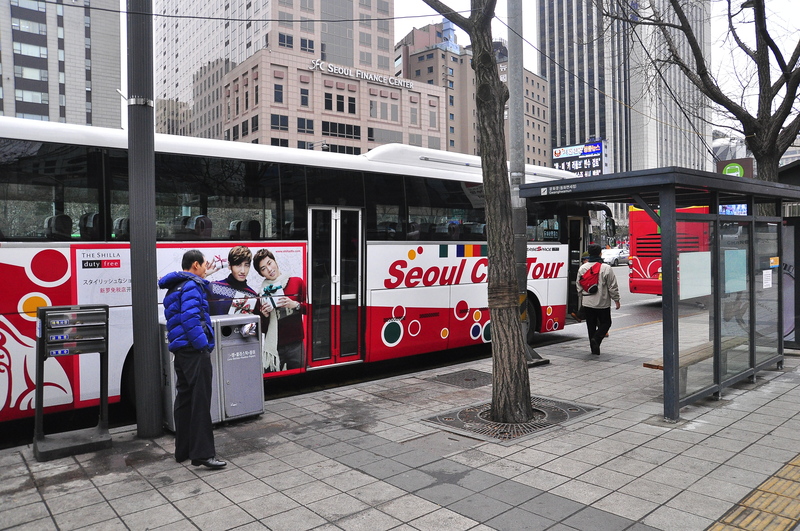 Take the Seoul City Tour Bus. The Korean Tourist Information Center has come up with this ingenius idea to guide tourists to the best sites the city has to offer. 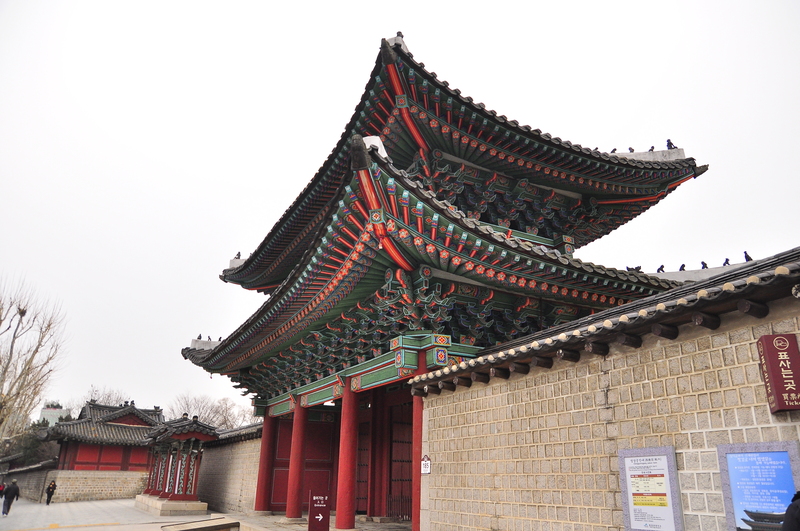 Starting at 9 am everyday, the Seoul City Tour Bus ferries visitors and locals to 27 tourist spots (Downtown City Tour), 11 spots for the Palace Cheongggye Tour, and 10 stops for the Night Tour. For the minimum fare of W10,000 per person, a tourist can get off at any stop he desires and wait for the next bus to come and take him to the next destination on the map. Bus intervals are at 30 minutes. Tourists can use the ticket for the whole day for as much as they want, until 7 pm when the bus service stops. The double decker bus charges W12,000 and the Night Tour costs W5,000. The night tour makes only one trip and does not return after 30 minutes like the other buses. For more information, check out this link. It is very advisable to use this service especially for sites that are hard to get to by commute like the N Seoul Tower, which boasts of the Observatory that shows an overlooking view of the city, and the Teddy Bear Museum. PROS: Taking the bus will get you to many tourist spots without the hassle of commuting to each area, plus its very cheap compared to guided tours and you can look around the spots at your own pkace. CONS: If you miss the bus, you have to wait for the next one for at least 30 minutes. Waiting around in the cold is not such a fun activity. You also have to go through the entire route that the bus takes. No shortcuts. 6. Take time to learn a bit of the language. If you’re already a fan of K-dramas as I am, you may have already picked up some key phrases like Anyeong Haseyo (Hello, good morning, good afternoon), Kamsa hamnida, gowapsumnida (thank you), olma hashimnika (how much), ye (yes), Aniyo (no), juseyo or chebal (please), unni (big sister), Ajumma (aunt), atachi (mister). The locals are not very great at English although they really try to communicate and they will appreciate your extra effort to learn their language. I was able to break out one of my secret weapons “chakkaman” which means wait, while asking for the bus to stop. Biane, means sorry. I’m stopping here for now, but I’ll be posting more of my adventures in Seoul in the following days so watch out for that. 7. Devise a back up plan. If you’re travelling with a group, its good to come up with a back up plan in case you get separated. Make sure that you know whether or not to go straight back to the inn, or designated meeting point or try to contact the others by looking for the nearest wifi signal. While its still best to activate roaming to ensure contact, a good alternative would be viber, wechat or Kakao Talk but you need to get wifi for these. Ensuring these makes for less worries on the part of the entire group. Reblogged this on The Budjetsetter.